For four generations, the Agrapart Family is dedicated to the exploitation of its own vineyard of about 12 hectares, and only sells its own harvest, which amounts to 100.000 bottles per year, depending on the year’s climate. The vineyard spreads on the towns of Avize, Oger, Oiry, and Cramant, all classified Grand Cru, and Avenay Val d’Or, Bergeres-les-Vertus and Mareuil, all classified Premier Cru, and right at the top of the quality ranking. Those Crus, like 51 others, are Champagne’s aristocrats, and Nature’s masterpieces. 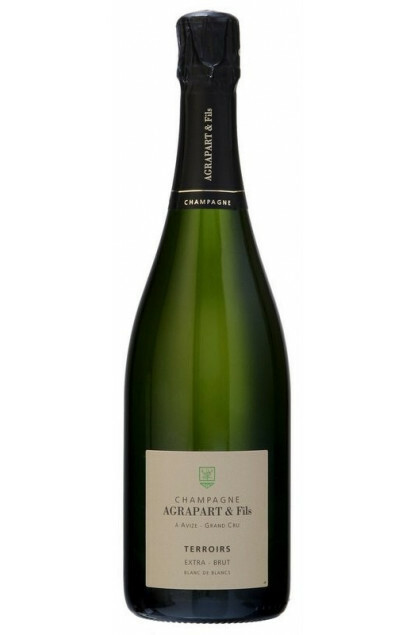 The Agrapart family takes great care of this vineyard, with culture and aftercare suitable for Nature and respectful, while showing off with love grape productions worthy of the Agrapart name. Just like a virtuoso alchemist, the Agrapart House composes its vintages with an art that dates back to several generations.